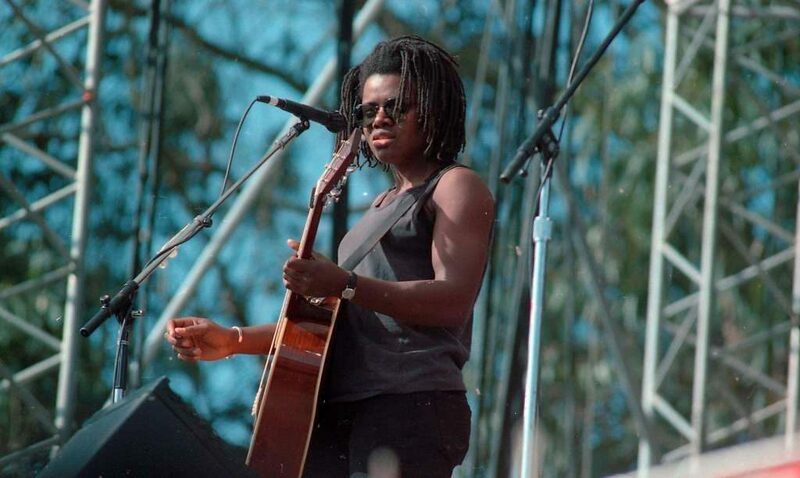 Tracy’s performance at the Golden Gate Park in San Francisco on November 03, 1991 celebrating Bill Graham is also available to listen to online at Wolfgangsvault.com: 2 songs, acoustic (“All That You Have Is Your Soul”) and a cappella (“Where the Soul Never dies”). From the first public Mime Troup events in 1965 to his untimely death in 1991, Bill Graham set the standard for excellence in concert presentations and in doing so, redefined the art of communication for an entire generation. To honor Bill Graham, Steve Kahn and Melissa Gold, the BGP staff organized a free concert in Golden Gate Park for Sunday, November 11. Mother Nature cooperated and provided a comfortable and cloudless day as 300,000 people gathered in the Polo Field of Golden Gate Park. Although the Grateful Dead were expected to make an appearance, the list of performers was kept well under wraps and few had any idea who exactly would be performing. It didn’t seem to matter though, as the feeling that permeated the crowd was one of quiet reflection. This concert marked the end of an era, but also memorialized Bill Graham in a manner that was fitting – a free concert in the heart of where it all started. The sad circumstances aside, this was truly a celebration of Graham’s life and as the poster for this event noted, it was to be a day filled with Laughter, Love and Music. 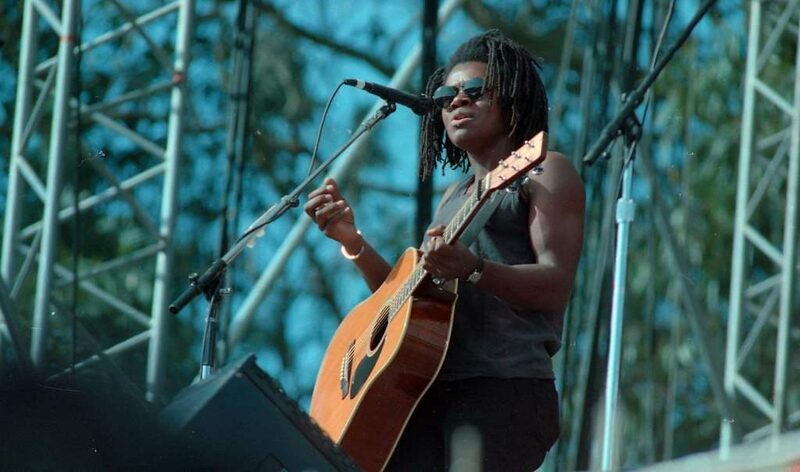 Singer-songwriter, Tracy Chapman, whose strong convictions are relayed in the lyrics of both songs in this set, delivers one of the most touching performances of this concert. Her choice of “All That You Have Is Your Soul” certainly reflected the feelings of many, and her a cappella follow-up of “Where the Soul Never Dies” was both inspiring and comforting to those saddened by the events surrounding this day. Bill Graham got a goodbye concert that he would have been proud to promote. With the 25th anniversary of Graham’s death approaching, I headed to The Chronicle’s archive in search of photos and stories from the memorial concert that celebrated his legacy. I turned up a treasure trove of negatives that the public hasn’t seen in years. The legendary Bay Area rock promoter, of course, helped cultivate the San Francisco sound and championed rock music for decades, and the Fillmore and Winterland were two of the world’s classic venues under his watch. The memorial concert’s list of bands and musicians wasn’t released before the event, but that didn’t stop hundreds of thousands of fans from attending. 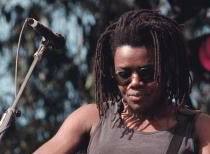 When an all-star lineup of performers gathered in Golden Gate Park on Sunday, Nov. 3, 1991, to toast Graham, no one was disappointed. The two packs of negatives I rustled up featured color shots of Carlos Santana, Jackson Browne, Joe Satriani, Steve Perry of Journey, Tracy Chapman and a reunited Crosby, Stills, Nash & Young. That’s a stellar lineup on its own. Add to it such performers as the Grateful Dead, John Fogerty, Joan Baez and emcee Robin Williams, who were in attendance but not photographed — likely because The Chronicle’s shooter had to leave early to get photos in the next day’s paper — and you have a concert lineup that’s tough to rival. The concert paid homage to the three people killed in the helicopter crash outside Vallejo on Oct. 25, 1991, and was called “Laughter, Love and Music: In Memory of Bill Graham, Steve Kahn and Melissa Gold.” It’s impressive that any concert could be pulled off in such a short time, but when you look at the lineup and the number of attendees — more than 300,000 were estimated to have crammed into the Polo Field — it’s staggering and speaks to the love and admiration that Graham commanded. Before any acts were confirmed, guesses at the bands and performers were floating around music circles and being repeated on radio waves. Phil Elwood of the San Francisco Examiner called local 1960s icon Wavy Gravy, a man in the know, to get insight on who might show up. Wavy answered: “We is we,” and hung up. Santana was one of the first musicians to confirm, and he told Elwood: “Bill’s spirit will make it all happen.